Congrats to Erin for winning this giveaway! We had so much fun using Bloomies hair accessories for our Five Tiny ‘Dos post below, and we know you will too! They’re such a great addition to any head of hair, perfectly feminine, but never over the top. Bloomies has generously offered one reader a $200 shopping spree from the Bloomies shop, everything in their shop is incredibly affordable and ranges at about $5. Your girl would certainly have the best hair accessory collection and you’d probably have some left over for gifts as well! The best part is even if you don’t win, Bloomies is offering Small Fry readers a whopping 30% off your orders by entering SMALLFRY30! Leave a comment telling us your favorite go-to hair do! Instagram a picture of your favorite hair-do and mention @bloomieshandmade and @smallfryblog. Good luck! This giveaway is open until Thursday the 21st winner will be notified by email Friday February 22nd, 2012. I liked Bloomies on facebook. I love to do a crown braid, stays put and looks great! I have a pixie cut, so my favorite go-to ‘do is my only ‘do, I just run my fingers through it to give it a little texture, add a little hairspray or pomade and go! Go to hair for me, messy bun on top of my head. Go to hair for my little, a simple headband because she still doesn’t have much hair! I like small fry on fb. I like bloomies on fb. I like to keep hair styles simple. Love their cozy bands! I love a messy bun! Always been a fav for me! well, since my baby girl is only 4 months I can’t really do much of a hairstyle on her (yet!) but she can totally rock some cute headbands!!! top-of-the-head bun. for sure. sometimes with a cute headband/flower to play it up, sometimes just the bun. I love a good top knot! I love those cute clips!! My daughters hair isn’t quite long enough for it yet, (okay not even close) but I looove a fishtail braid! Especially on a little girl! We would sure love to win! We are lucky if my daughter even lets me comb her hair, so usually we keep it simple with either a ponytail or a sock bun. Liked bloomies on fb! They are darling! Liked Small Fry on fb! Very cute stuff! My go-to is a sleek ponytail or just leaving it down. My daughter doesn’t have a ton of hair yet, so she just gets a barrette now and then. I like Small Fry on facebook! I liked Bloomies on facebook! I love doing 1 large braid across the bottom into a side pony. I liked small fry on Facebook! My hair is short so my favorite is just down and fabulous! Thanks. loved the fishtail and the bloomies bows! Mine is usually in a bun or ponytail- chasing after 3 kids all day 🙂 But my girls always need a clip to keep those bangs out of their eyes. These clips are adorable! 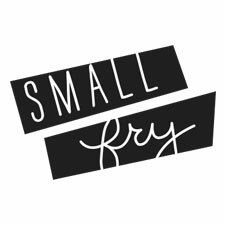 Liked Small Fry on Facebook! Messy bun is my favorite go-to hair style! A pony tail is easy and oh so convenient. I liked Bloomies on FB. Sadly, my go to hairdo is a pony tail, but I recently tried making a bow out of my hair and it was pretty cute. :p.
New fan of Small Fry on FB! Dying over the top knot with a bow!! So so cute!! I have several Bloomies bows for my daughter & I love them! My go-to hair is a boring old ponytail. I love the bow bun, can’t wait to try it! the messy bun is my typical go-to do! A curly bun in the back or on the side! Like Bloomies and Small Fry on FB! We all have short hair and need these adorable hair accessories for spring! I’ve currently got a pixie cut…and it is by far my favorite hair-do ever! I liked Bloomies on FB too! my fav is def. a top know. I love this give a way! I have a short a-line hair cut, but i love doing curls with my flat iron! My favorite hair do for my little girl is to do a small braid on each side of her part and then pull them to the back of her head and put them together with an elastic. It’s very simple but it’s still super cute! My go to hairstyle for my 2YO is pigtails and short bangs! My go to hairstyle for myself is a side part neat ponytail. And my 4mn old doesn’t have enough hair yet to do anything with! We do the bow bun a lot here. So cute! Fav do is a side part with a small bow. Oh goodness, I’ve always been useless with hair. That’s why a win would be great, it would help out my poor little girl who never gets her hair done! Liked Small Fry on FB. I love love love the milkmaid do! I instagrammed. My little fry would look adorable in these! We’re a french braid family – it’s just so simple and adorable! My go-to hair do is a ponytail right now. But when my 1 year old’s hair is long enough, we’re doing pigtails!! I love the bow bun! I love top knots! I’ll probably be doing lots on my little girl but I love the added bow, too. My current go to is loose, messy curls. Love Bloomies! Such a great giveaway! My girls would love some cute new hair accessories. I already like on fb! My go to hair is always just a bun, and for my girls I usually just put up their bangs! My daughter’s hair at 20 months is still pretty short, so my go-to style for her is clipping her bangs to the side, out of her eyes. My go to hair style is pig tails. They keep all of my daughter’s hair out of her face and off her neck and look so cute! For my toddler we usually do a little sidesweep secured with a barrette, or for an unruly hair day put it in a pony and clip back the whispies with a barrette. I like Bloomies on FB! I like Small Fry on FB! I will be honest…a hat. HAH! But in the summer definitely a good side braid. I liked Smallfry on facebook! Goto hair=headband with scrunched hair. Oh how lovely is Bloomies! My girls have beautiful curly hair and my go-to hairdo for them is a feminine ponytail on the side with a headband or hairclip. My 2 year old babe’s hair is too fine and slippery to do anything with! I try clips, headbands, ponytails- but everything comes sliding right out! Maybe bloomies will solve my problem?? Like/follow Small Fry on Facebook! I fall on the fail-safe pony-tail! Have to tell you, nothing beats the ponytail for my long-haired little girl. Messy bun! Easy and quick! Liked bloomies on fb! My daughter has several of their felt flowers and they are adorable! My “go to” is a messy bun! I like bloomies on facebook! I really like small and a bit messy pigtails + I like Small Fry on FB!